At Solomon, Berschler, Fabick, Campbell & Thomas, P.C., our attorneys are committed to protecting the rights of individuals in Norristown and throughout Pennsylvania. We never represent insurance companies or big businesses. Instead, we devote all of the knowledge and skill we have developed over the course of more than 30 years of practicing law to people in need of representation in criminal defense, family law, personal injury and other legal matters. Starting with a free consultation, we are committed to making our high-quality representation affordable. We can create payment plans as necessary, and we accept credit cards. Our law firm is conveniently located near the Montgomery County Courthouse, and we are easily accessible from all major highways. If you are not able to come to us due to an injury, we can come to you. Our goal is to make even the most complex legal matters as stress-free and convenient for you as possible, while never losing sight of the goal to achieve a positive outcome. Our lawyers have spent decades dedicated to resolving the issues that face our fellow Montgomery County residents. 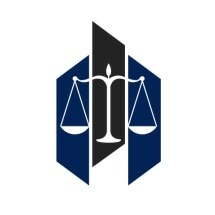 Members of our team belong to well-known legal associations and hold leadership roles within the legal community. Our depth of knowledge in matters such as criminal law, family law and serious injury claims is recognized, as is our record of results in these cases. You can be confident that we will be your advocates, working hard to get results that matter to you. While we are willing to negotiate, we will not accept bad deals. We will take your case to trial to do what is right for you. To learn more about how our attorneys can help, contact us for a free consultation. Solomon, Berschler, Warren, Schatz & Flood, P.C. Are Distracted Driving Laws Saving Lives?